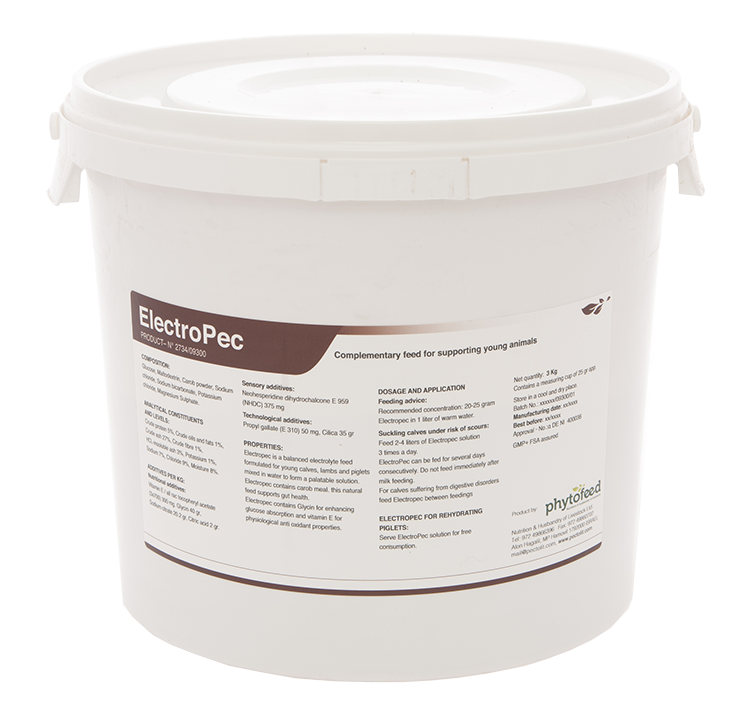 Electropec is a balanced electrolyte complementary feed formulated for young calves, lambs and piglets to be mixed in water to form a palatable solution. Electropec contains carob meal. As this natural feed supports gut health Electropec is more than just Electrolytes, but a real support to scouring calves. Electropec contains Glycin for enhancing glucose absorption and vitamin E for physiological anti oxidant properties.